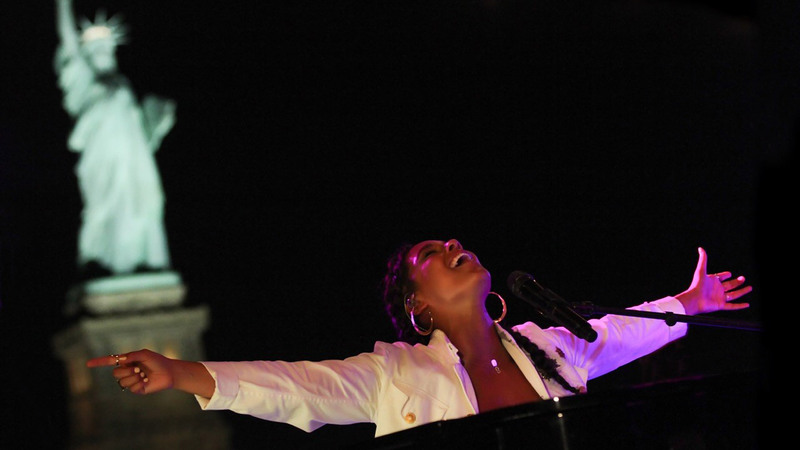 New Arts Strand Landmarks Live In Concert Debuts on Great Performances with Grammy Award-Winning Singer Alicia Keys Friday, January 20 at 9 p.m. on PBS; hosted By Chad Smith from The Red Hot Chili Peppers. “Landmarks” will offer series of performance specials with Brad Paisley and others to be announced Also featuring special lifestyle segments with MTV veteran Matt Pinfield and Instagram star Gabby Epstein. Alicia Keys – Landmarks Live in Concert kicks off a new arts strand within the Great Performances series, beginning Friday, January 20 at 9 p.m. on PBS. (Check local listings.) This will be followed the next week by Brad Paisley – Landmarks Live in Concert on Friday, January 27 at the same time. (Check local listings.) Eight episodes in all are planned for the first season. Chad Smith, the drummer for the Red Hot Chili Peppers, serves as host for the series and conducts one-on-one interviews with the artists exploring their favorite locations around each Landmark. There will be additional lifestyle segments with special correspondents, MTV veteran Matt Pinfield and Instagram star Gabby Epstein. The show is being shot in locations around the world, including London, Paris, New York, Havana, Philadelphia, Los Angeles, Jamaica, West Virginia and many more with major artists performing shows for their fans in front of landmarks to which they have a connection. The travel component of the show, which is co-produced with Bungalow Media + Entertainment, shows how the particular cities influenced the artists’ careers and shaped their music. The series premieres with a native New Yorker from Hell’s Kitchen, Grammy Award-winning artist, Alicia Keys. Her collaboration with Jay Z, “Empire State of Mind,” instantly became the City’s newest anthem. In this debut Landmarks Live special recorded over a one-year period, Alicia’s love affair with New York continues as she performs in notable locations all around town including the City’s world famous Circle Line harbor tour and Harlem’s Apollo Theater. 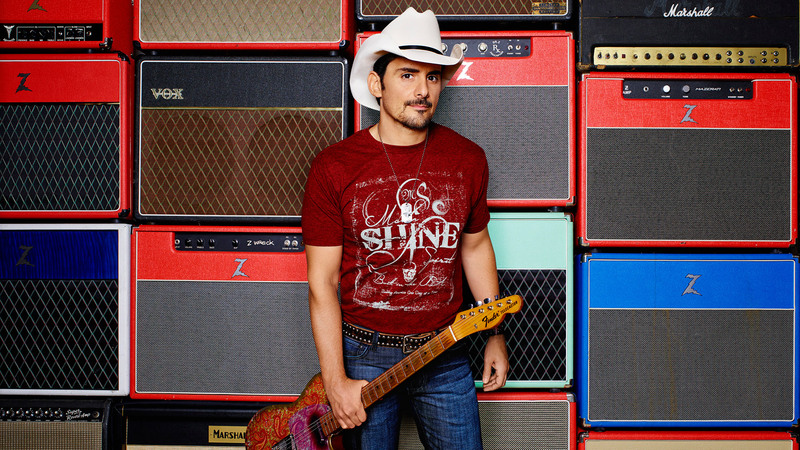 The following week, country music superstar Brad Paisley returns to his roots in the beautiful Appalachian Mountains for a special outdoor concert at West Virginia University. As the hit-maker behind 23 number one singles and the winner of just about every Country music award imaginable, Brad brings his unique skills as a singer songwriter, guitarist and entertainer back to his home state as well as to “viewers like you” everywhere. “I am so pleased to be partnering with WNET and its prestigious Great Performances series. It has been a dream of mine to bring real family entertainment and top notch music programming as part of a series to PBS for a while,” says series Creator, Director and Executive Producer Daniel E Catullo III, who is also the CEO of City Drive Films. According to Catullo, “the series will be a mixture of large-scale productions and more intimate shows at locations in which concerts normally do not take place, adding a unique element to the show, each done in consultation with the artist.” Friedman, an EP and CEO of Bungalow, adds, “This will be a unique and one of kind opportunity to experience these landmark locations through the eyes of iconic artists who have both been influenced by and had an impact on the places we visit.” In addition to being a member one of the most successful bands of all time, Grammy Award-winning and Rock and Roll Hall of Fame inductee Smith is one of the most highly sought after session drummers whose credits include Johnny Cash, George Clinton, The Avett Brothers, Kid Rock, Dixie Chicks, among others. In 2014 Smith was honored to be appointed by President Barack Obama to the Turnaround Arts Committee which brings arts education programs to the lowest-performing schools in the country. “Working on Landmarks to create a new series which focuses on the artists’ stories, not just the performances, is something that I’m truly excited about. Landmarks is a real collaboration between a unique creative team and artists that will certainly change how music shows are approached,” says Smith. The final roster of artists to appear on Landmarks Live in Concert’s first season, and locations will be announced shortly. Landmarks Live in Concert is a production of City Drive Films. Daniel E Catullo III, CEO of City Drive Films s creator, director and executive producer. The series is co-produced with Bungalow Media + Entertainment. Its CEO, industry veteran Robert Friedman also serves as executive producer. For Great Performances, Bill O’Donnell is series producer; David Horn is executive producer. Stephen Segaller is executive-in-charge for WNET. Great Performances is produced by THIRTEEN PRODUCTIONS LLC for WNET, one of America’s most prolific and respected public media providers. Throughout its more than 40 year history on public television, Great Performances has provided viewers across the country with an unparalleled showcase of the best in all genres of the performing arts, serving as America’s most prestigious and enduring broadcaster of cultural programming. ### About WNET WNET is America’s flagship PBS station and parent company of THIRTEEN and WLIW21. WNET also operates NJTV, the statewide public media network in New Jersey. Through its broadcast channels, three cable services (KidsThirteen, Create and World) and online streaming sites, WNET brings quality arts, education and public affairs programming to more than five million viewers each week. WNET produces and presents such acclaimed PBS series as Nature, Great Performances, American Masters, PBS NewsHour Weekend, Charlie Rose and a range of documentaries, children’s programs, and local news and cultural offerings. WNET’s groundbreaking series for children and young adults include Get the Math, Oh Noah! and Cyberchase as well as Mission US, the award-winning interactive history game. WNET highlights the tri-state’s unique culture and diverse communities through NYC-ARTS, Reel 13, NJTV News with Mary Alice Williams and MetroFocus, the daily multi-platform news magazine focusing on the New York region. In addition, WNET produces online-only programming including the award-winning series about gender identity, First Person, and an intergenerational look at tech and pop culture, The Chatterbox with Kevin and Grandma Lill. In 2015, THIRTEEN launched Passport, an online streaming service which allows members to see new and archival THIRTEEN and PBS programming anytime, anywhere: www.thirteen.org/passport.